The Salthora are special models in the MeisterSinger collection. The German brand is well known for its single hand watches and the Salthora makes no exception but with one important difference: the hour is indicated using the "jumping hour" display principle through a round window at 12 o'clock. When 60 minutes have passed, the single hand reaches the middle of the window and the next number appears in the window in a flash. With its water-resistant case equipped with a unidirectional rotating bezel, the Salthora Meta X is even more peculiar. Winner of the prestigious Red Dot Award for outstanding product design, the Salthora Meta X was featured in our hands-on on August 2017. There is now a new model in this line, the Salthora Meta X Transparent, a limited edition that displays not only the time, but also the module that enables the powerful jump to the next hour. The transparent dial makes it possible to see how the snail attached to the minute wheel stores the energy for exactly one hour before releasing it in the rapid, well-balanced movement of the actuating lever. The rotating hour circle is also open and the current hour is shown at the top in a frame. 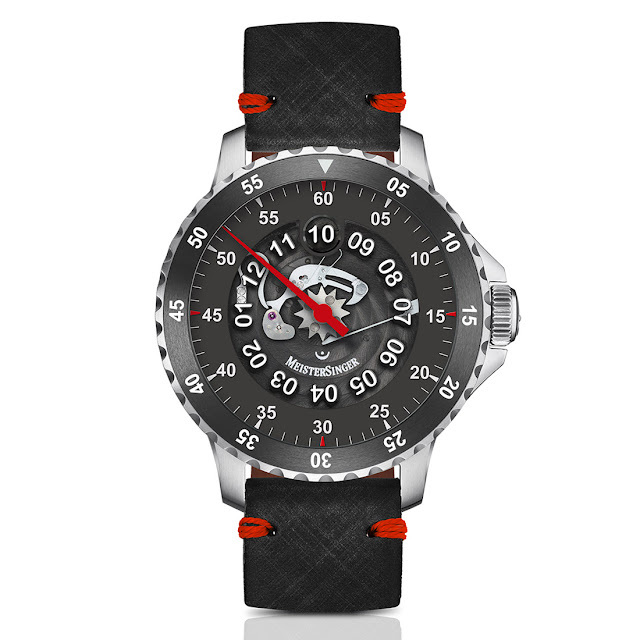 The colour scheme, consisting of polished steel surfaces, matt black, and red accents on the hand, the indices and leather strap enhance the dynamic character of the watch. 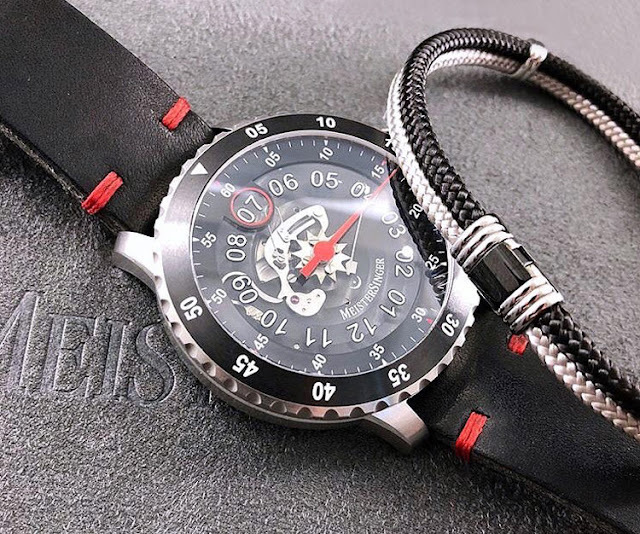 Waterproof up to 20 bar / 200 meters / 660 feet thanks to its screwed crown and caseback firmly sealed with six screws, the case has a diameter of 43 mm and a thickness of 14,2 mm, giving the watch a strong presence on the wrist while still wearing very comfortably thanks to the curved lugs. 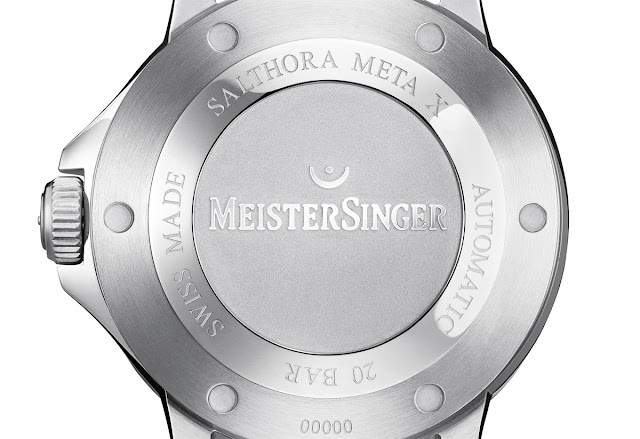 The Salthora Meta X Transparent is powered by a Swiss automatic ETA 2824-2 or Sellita 200-1 movement equipped with a module for the "jumping hour" exclusively designed for MeisterSinger. 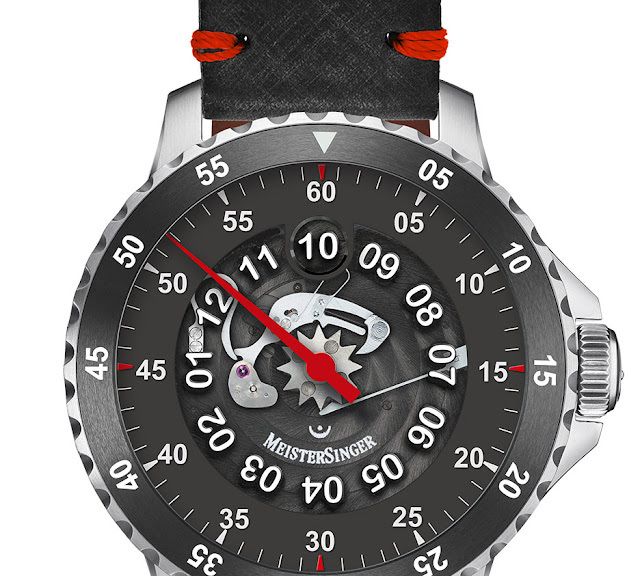 Beating at 28,800 vibrations per hour, the movement guarantees an autonomy of 38 hours when fully wound. The watch comes with a bracelet hand-made by Albanu, a brand from Monaco which has created woven bracelets from unusual materials since 1928. In this case, the two-coloured bracelet is made of marine cord, just like those used in sailing, with a stainless steel silver and black clasp. Water-resistant and robust, it matches the strong character of the watch. 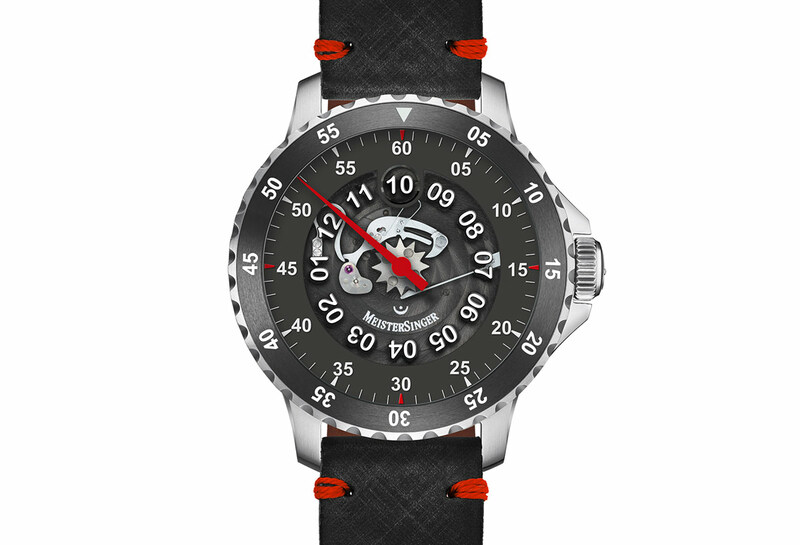 There is a new model in the Salthora line, the Salthora Meta X Transparent, a limited edition that displays not only the time, but also the module that enables the powerful jump to the next hour. 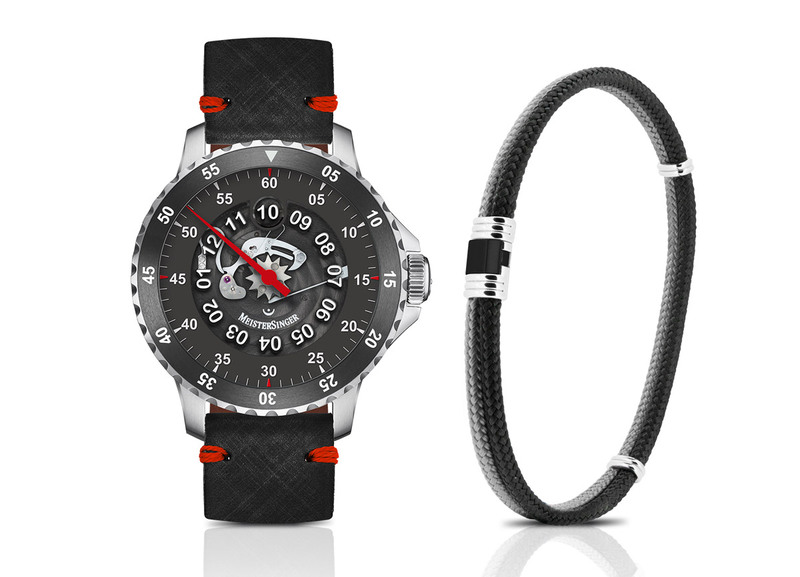 The watch comes with a bracelet hand-made by Albanu, a brand from Monaco which has created woven bracelets from unusual materials since 1928. The MeisterSinger Salthora Meta X Transparent is a limited edition of just 150 piece with a price of Euro 3,690.